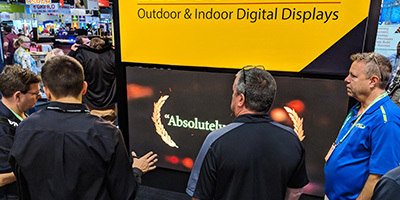 Watchfire has a dedicated network of experienced sign company professionals to help guide you through the purchasing process and sign ownership. Our dealer partners are experts in the sign industry and they’re ready to help. As LED signs become more popular and more manufacturers and resellers enter the market, it is as critical as ever to work with an experienced sign company professional who can educate you about LED signs, and install and maintain your sign. Our partners are ready to help you choose the right sign for your location and budget. They’ll also help you choose a sign appropriate for the types of messages you plan to display, whether that’s text, graphics, animations or live video feeds. Our partners can also help you navigate the permitting and zoning process in your community. An LED sign is a big investment, and we understand that. Our dealers will be by your side not just on the day your sign is installed, but for years in the future to provide on-site service and routine maintenance. At Watchfire, we work hard to build the very best product we can to ensure your success. Our trusted sign dealer network is a big part of that commitment and we are dedicated to only working with the very best in the industry.